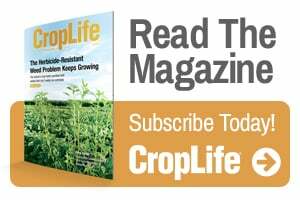 While discussion on crop nutrition is often around nitrogen, phosphorus, and potassium, optimal plant performance and nutrient use efficiency is achieved when all 13 of the essential nutrients are supplied to the plant, writes Sally Flis, Director of Agronomy, The Fertilizer Institute. The micronutrient zinc (Zn) is required for plant health and production; specifically, it is involved in many enzymatic activities. How do the 4Rs come into play for zinc fertilization? Plant roots need to intercept 13 of the 16 essential nutrients in an available form from soil solution to grow. If any one of these essential nutrients is limited, so is yield. The 13 essential nutrients taken up from the soil solution are the primary nutrients: nitrogen, phosphorus, and potassium; the secondary nutrients: sulfur, calcium, and magnesium; and the micronutrients: boron, chlorine, copper, iron, manganese, molybdenum, and zinc. For all 13 essential nutrients, 4R Nutrient Stewardship—the right nutrient source at the right rate, at the right time, and in the right place — is needed.